The web site now looks FAR better and is mobile and desktop friendly enabling our customers to visit us on any platform! 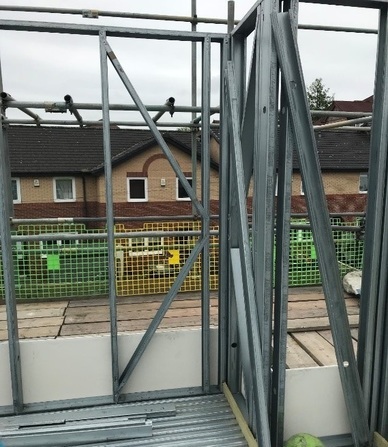 We plan on using the new blog as a forum to keep you all updated with our activities in the back ground and of any of the more exciting site visits and inspections that we do! 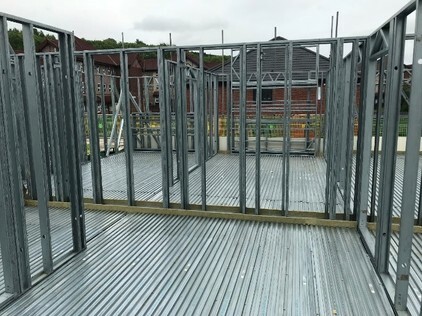 The project is a three storey, pure light gauge steel with 55mm thick Lewis Deck screeded floor – hence the mineral wool battens at the end of the decking.